Christine Lagarde of the International Monetary Fund is one of many who believes that under the leadership of Prime Minister Narendra Modi, India has improved rapidly and is on the right track. International recognition is one aspect but what are the challenges in India becoming a powerhouse while China sees a recession. Ratnesh Dwivedi spoke to four experts. Last in the series is his interaction with Sheshadri Chari. Seshadri Ramanujan Chari a journalist, politician, strategic and foreign policy analyst is a veteran swayamsevak of the Rashtriya Swayamsevak Sangh (RSS). He is currently a member of the national executive of the Bhartiya Janta Party and former head of the foreign affairs cell at the party headquarters. 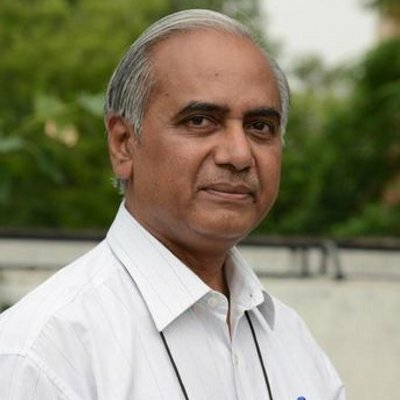 Seshadri chari has also been a consultant on governance to the United Nations Development Program (UNDP), posted at Juba, South Sudan. Seshadri Chari is also currently engaged as Director, (International Affairs) Institute for National Security Studies (INSS), Director, Forum for Strategic & Security Studies (FSSS), Secretary Genral,(FINS), Non-officio member, and is also the Director of Chronicle Society of India for Education & Academic Research (CSIEAR), a high profile NGO actively engaged in promoting educational activities and conducting significant research in areas like Pluralism and Democracy, Conflict Resolution, Role of religion in fostering communal harmony. Ratnesh Dwivedi: When we discuss the Indian and Chinese economies, there are some similarities and differences between the Indian scenario and Chinese scenario. What are the areas on which the Modi government is focusing as far as the Indian economy is concerned? Sheshadri Chari: There are three aspects of the Indian economy on which this government is trying to focus. A-Manufacturing, B-Capital formation and C-Employment. So in these three aspects there are also other subsections. Take the question of manufacturing, we have to focus on two things. One is research and investment in technology and in manufacturing, the cost has to be lower than the competing economies. For example, if you are going to compete with China your manufacturing cost has to be lesser than China. In ready-made garments if you are competing with Bangladesh your cost of production should be less than that of Bangladesh. So you can do it only by improving technologies. You can not do it by paying less to the wagers. So if you want greater employment you have to be ready to sell out greater wages unlike in Bangladesh and China where you can cost cut on wages. There was a case of a fire in one of the manufacturing units and more than 300 workers were staying in one building. That is against International Labour Organization, ILO standards. Similarly in China the labour cost was very cheap once upon a time, now the labour costs are going up marginally but they can always control these through regulations. In India you can not do it, so the only way you can is by cost cutting the improving technology, but there again if you improve too much technology and use machines you will be defeating the purpose of employment. So you have to have a conducive medium for this. Ratnesh Dwivedi: My second question is about the kind of recognition the Modi Government is getting on the international platform in recent times. Here has always been a challenge for the GDP rate. Do you think India will achieve the two digit GDP rate in the coming days, months or years? SC: Yes, you see our aim is to work toward achieving a two digit GDP but I do not think the government will be unduly worried if they do not achieve this because an even smaller marginal improvement in GDP, for instance 7 % or 7.5 % would be good, but what is more important is to increase our capabilities to deal with governments in different regions of the world. For a long time we have not done much as far as the African region is concerned. There are problems and challenges in that region but you have to surmount all this. Similarly South East Asia, nobody thought of the Act East Policy after ex Prime Minister Narasimha Rao. So we stopped looking east theoretically. In practical terms looking east involved acting east. Acting East involves a policy formulation which will allow you to deal with the East and South East Asia at two levels, a Bilateral and Multilateral level, so that is what we have to do. RD: India and China are both the fastest growing economies in Asia. 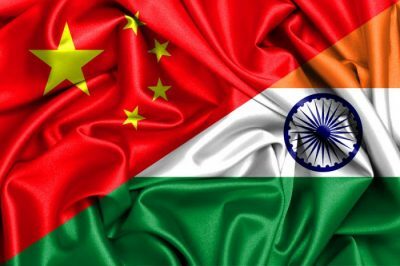 What are the major challenges in an India-China Alliance in Asia, apart from the strategic and geo-political dispute? 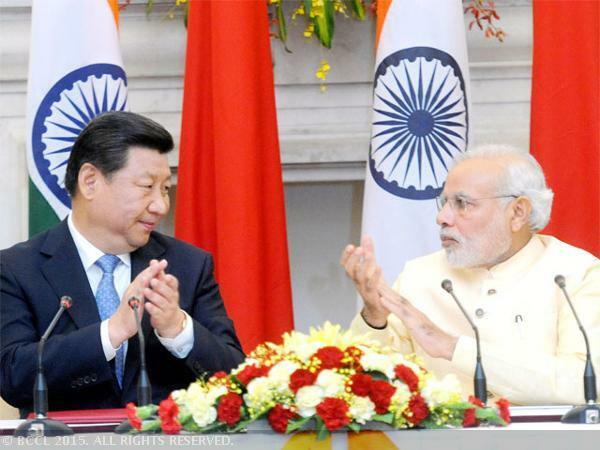 SC: India and China have to work together and grow together. This is what Jawaharlal Nehru (First Prime Minister of India) said long before 1962, meaning India and China have a common destiny so they have to work together. That was his idea and he started from there. Incidentally after Mao when Den Xiao Ping took over. Deng said exactly the same. Deng said India and China have to grow together to achieve supremacy for the Asian region. He did not say India will become supreme or China will become supreme. He said that India and China have to grow for Asia to become supreme. So that was a good beginning. So, barring 1962, you can see that India and China have a common destiny as far as Asia is concerned. As far as engaging with global affairs is concerned some issues are not permanent, they keep changing. In the early 70s and 80s we had the Cold War and then it was climate change and now it is terrorism. In between there was an economic meltdown so these issues change. So it is not a permanent issue. Say for instance the first and second world war, so what is happening in a highly unipolar world that the problem of one country becomes a global problem. So when the Lehman Brothers go into liquidation, America calls it a world economic problem, then the issue of Syria and Iraq, they call it a world terror problem. So it is basically that the whole world can not be expected to pay the price for America’s mistakes. But at the same time, at the level of democracy, you have to deal with America, you have to engage with America and you have to partner with America on certain things. So when it comes to global hegemony you can not allow one country to be moving on the hegemonic road. And that does not continue for a long time. 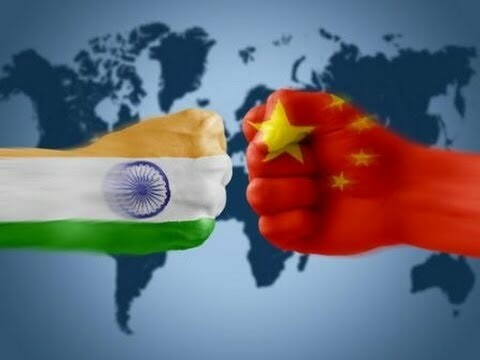 So from looking at that point of view, except for these challenges, there is every possibility for India and China to work together on a number of issues including those of climate change, global warming or terrorism. Terrorism is an equally important issue for China as much as it is for India. So if we are able to work together without compromising on National Security and Strategic issues I think we should move towards that kind of situation. 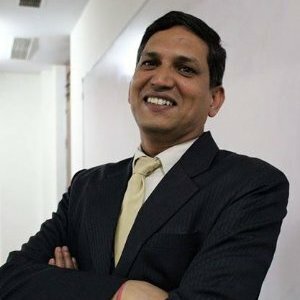 RD: It is true and geopolitical experts across the world are trusting the notion that India is growing fast under Prime Minster Modi’s leadership, whatever the reason, be it good governance or international recognition, India is also looking for partners in this region so in these circumstances which country can be a better ally for India – USA or China? SC: It’s not like choosing one or the other. There can not be one partner for all purposes. So this kind of straitjacket thinking does not bring success in international relations. So we have to choose our area of activity and choose the partners. Similarly we have to partner with countries who have acommon interest, so when it comes to let us say dealing with Pakistan we can choose neither the USA nor China as partners because both have their respective agendas as far as Pakistan is concerned. When it comes to dealing with the Iran Issue you can not have the USA as a partner because we have to deal independently with Iran so it is very difficult to decide who your partner will be and is also very difficult to segregate these partnerships and work on the basis of one size fits all. As far as international relationships are concerned we can not say again one size fits all, so we have to carefully work out the partnership depending upon the dynamics of the situation and external political climate. RD: What is the government’s stand on FDI? SC: We have categorically said that we want FDI. It is the best way to quickly attain capital growth and reduce internal debt. But at the same time FDI can not come on their terms nor can it come on our terms. We have to work out an ideal atmosphere and a conducive climate for FDI to come and also provide them a rational exit route which will not affect our economy, otherwise as in the 80s and 90s, we saw Asian Tiger have a huge foreign capital flow and suddenly they all flew out of the country to which they refer the ‘flying geek syndrome’. They come one by one but when they fly they fly in clusters. So that is a very dangerous situation which will lead to a market collapse as it happened in Malaysia. So we have to adopt a very cohesive policy. Our policy should work towards getting FDI on terms which are mutually beneficial. There is a lot of free funds and free capital flowing in the world and there are very few investment destinations. India is one of the best because we have the capacity to produce and consume at the same time. We are a very strong economy. Our fundamentals are very strong and the legal and judicial system is very good. We also have a democratic set up and have a government which is working overtime to govern, so we have all the factors that are favourable for FDI. 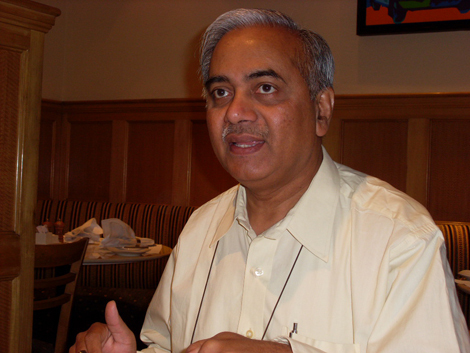 Seshadri Ramanujan Chari a journalist, politician, strategic and foreign policy analyst is a veteran swayamsevak of the Rashtriya Swayamsevak Sangh (RSS). 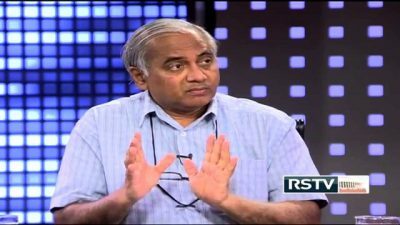 He is currently a member of the national executive of the Bhartiya Janta Party and former head of the foreign affairs cell at the party headquarters.